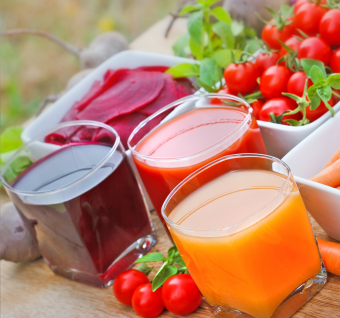 Stephanie I. asks: Why do beets turn some peoples pee red while others it doesn’t? Although the precise mechanism is not definitively understood (despite extensive study), it is generally thought that a unique chemical found in asparagus, asparagusic acid, is broken down in the human body to any or all of methanethiol and dimethyl sulfide (believed to give urine that distinctive asparagus tang) and dimethyl sulfoxide and dimethyl sulfone (believed to add a bit of sweet to the aroma). However, relatively recent research by Robert H. White from the University of California proposes an alternative theory as to the source of the smell. White used gas chromatography-mass spectrometry to try to identify the cause of the smell and he concluded that it was actually from the s-methyl thioesters- specifically s-methyl thioacrylate and s-methyl thiopropionate. Thioesters, like methanethiol, are primarily sulfur based except are formed from sulfur bonding with an acyl group. In either case, the smell comes from the way the chemical compounds in asparagus break down inside the body. This is why cooking asparagus in various ways does not result in the same smelly byproduct. Not everyone suffers from stinky asparagus pee (one way or the other). While, again, not definitive, there have been a number of relatively recent studies indicating that after eating asparagus, everyone’s urine contains the compounds that ultimately result in the noxious odor. So why does it seem like only some do? The kicker is that not everyone has the ability to smell the compounds in question. That said, there are some studies that seem to indicate that at least some people don’t produce the smelly compounds in the first place, and that a single gene may be responsible for the distinction. Needless to say, more research is needed to clear up the matter. On to beets- in around 10% of the population, consuming beets will result in red urine, a phenomenon known as beeturia. Troubling to view, with some mistaking the cause for blood in their urine, it is harmless, and is due simply to failure to digest certain betacyanins (the chemical responsible for making beets red in the first place). Studies to date seem to indicate that the pH value of one’s stomach acid is the most important factor in whether you’ll end up with red tinged urine when eating beets. Less acidic stomach acid, whether naturally or induced via some medication or the like, and faster digestion times (such as if you consume beet juice on an empty stomach) mean a higher probability that you’ll have a red river next time you have to urinate. Another factor, or at least a noted correlation, is that people who have an iron deficiency have a higher probability of being one of those whose body does not properly digest the betacyanins while they are iron deficient. This leads us to carrots. It turns out you don’t need to get a fake tan to turn orange- you can simply eat large quantities of orange plants, such as orange carrots. (Interestingly, before the 17th century, most carrots were purple.) The resulting condition is known as carotenemia and isn’t as uncommon as you might think. It particularly rears its orangish-yellow head with infants that are fed copious amounts of pureed carrots and a variety of vegetables that contain high amounts of carotene. It is a build-up of this carotene in your body that turns your skin (and in extreme cases even your urine and feces) a shade of orangish-yellow. This effect will usually first present on your nose and/or palms, which is why you occasionally see babies with orange noses. As with potential issues from asparagus and beet consumption, this condition isn’t harmful, other than perhaps making a person look like a potential star of a future Jersey Shore reboot. But beyond that, all one has to do to make the skin coloration go away is to stop consuming large amounts of things with carotene in it. Why Doesn’t the Heart Get Tired and Need to Rest Like Other Muscles? Blackberries contain anthocyanins, a chemical that gives the fruit its dark purple color. Water soluble, as with the betacyanins in beets, some of the anthocyanin comes out in the urine, potentially turning it red if the concentration is high enough. One bodily discoloration that isn’t naturally reversible is your skin turning blue as a result of consuming or being exposed to too much silver, for instance via colloidal silver or silver dust. The condition is known as Argyria and is the result of an accumulation of certain silver compounds in the skin that decompose into silver sulfides when exposed to sunlight. The result- something of a purple/blue Kool-Aid skin color. This is more or less a permanent condition, though there has been some progress recently in being able to reverse the effect, such as one method that uses laser therapy. Weirdly, some people experience an aroma to their urine after eating puffed wheat cereal; they claim that their pee smells like . . . puffed wheat. It’s not quite clear why and little research has been done investigating the phenomenon to see if it’s real or just in people’s heads. Excessive consumption of the pigment lycopene, found in such plants as tomatoes, can cause your skin to turn orange, similar to excessive consumption of carotene. This is also harmless and completely reversible by simply stopping consuming the lycopene. In Ancient Rome, pee was used as invisible ink. Much like with lemon juice, the message would only be seen once the paper was heated. The degu, a South American rodent, has ultraviolet vision and, since it’s urine reflects UV light, it uses its pee to identify passages for itself and others. This has led some to theorize that since other rodents also have UV vision, like mice and rats, they may be communicating with pee, as well. Bears don’t pee when they hibernate. Instead, after their bodies metabolize fat and produce urea, it is broken down and the nitrogen by-product is used by the bear to build protein for its organs and muscles. While it can cause odd skin coloration, one thing eating large amounts of carrots won’t do is improve your eyesight, at least assuming you’re not malnourished. If you are malnourished, it may improve your vision. Specifically, if you aren’t getting enough Vitamin-A, eating carrots (because of the beta-carotene that your body converts to Vitamin-A as it needs it) can improve your eyesight and night vision. However, the fact is that most people in the developed world get plenty of Vitamin-A because it’s in an awful lot of foods, such as pretty much all dairy products, eggs, peas, pumpkin, broccoli, cantaloupe, spinach, sweet potatoes, papayas, lettuce, mangoes, cucumbers, peaches, pineapples, tomatoes, yellow corn, and many, many more. Because beta-carotene won’t be turned into Vitamin-A in your body if you’ve already got enough Vitamin-A (which is good because too much Vitamin-A can be toxic), eating carrots won’t usually do anything for your vision at all. The myth that carrots can improve your eyesight beyond normal, particularly that carrots can improve night vision, was popularized by British propaganda during WWII. British gunners in WWII were able to locate and shoot down German planes at night due to significant advancements in radar technology. To help cover up their improvements on the technology, the British spread about an urban legend that said that they were able to increase the night vision of their pilots by having them consume large amounts of carrots. This propaganda campaign included stories about certain pilots like Lieutenant John “Cat Eyes” Cunningham who they said had exceptional night vision thanks to a habit of eating large amounts of carrots. This lie not only gave birth to an urban legend, but also caused many British people to start planting their own vegetable gardens, including planting and eating a large amount of carrots so that they’d be able to see better during blackouts. Asparagus belongs to the same family as lilies. Once the asparagus buds start to open, the shoots become unpalatable and woody, so typically only young asparagus shoots are used for eating, making all asparagus eaters baby killers. Tomatoes and Asparagus are good plants to grow near one another due to the fact that tomatoes keep the asparagus beetle away and asparagus repels certain types of root nematodes that are bad for tomatoes. Curries often result in stinky pee because of a body’s inability to filter out the cuminaldehyde in cumin and the linalool in coriander. Likewise, many of coffee’s chemical compounds that contribute to its aroma are also not metabolized, and, therefore, can change the odor of a drinker’s urine. Why Do Some Foods Make Your Urine Smell Strange? Beeturia and the biological fate of beetroot pigments. Dude, you’re not supposed to drink it! From personal experience, I can verify that puffed wheat has that affect on the smell of my urine. I’ve never questioned it until now, I always just chalked it up to being like asparagus.